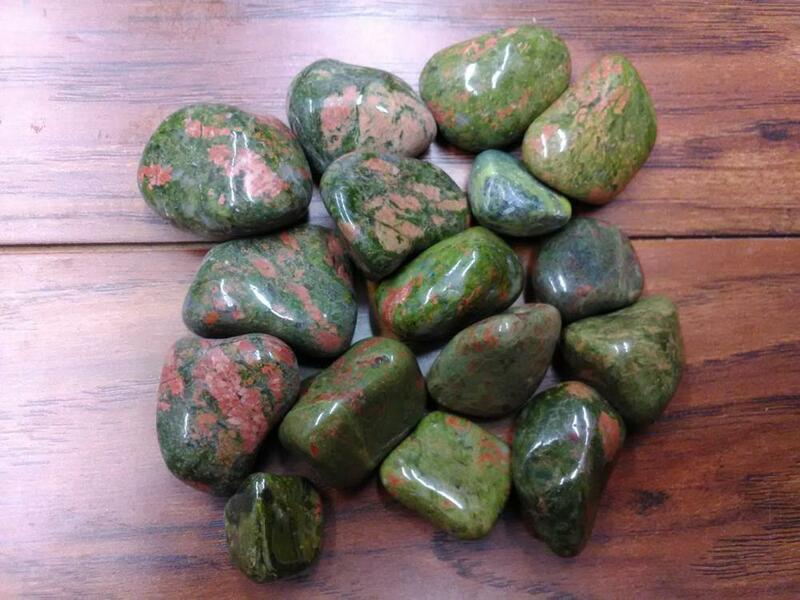 Unakite was first discovered in the United States in the Unakas mountains of North Carolina.It is an altered granite composed of pink orthoclase feldspar, green epidote, and generally colorless quartz. It is various shades of green and pink. Unakite is said to be good for the reproductive system, for healthy pregnancies, and for the healthy development of unborn babies.It can also protect against electromagnetic pollution from computers or cell phones.